With Navien Condensing, you get not only Great Value but also Condensing Technology and Efficiency. 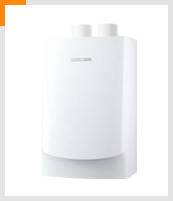 Condensing tankless systems offer substantial savings and contribute to a greener environment. Also, with a Navien Tankless the installation and venting processes are easy, cost effective. 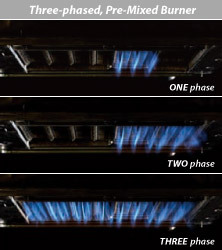 Navien utilizes dual stainless steel heat exchangers, providing a longer life-expectancy and more resistance to erosion. Navien’s stainless steel heat exchangers operate with relatively low water temperatures, minimizing damage from hard water conditions and maintains a high efficiency level. Also, since a condensing tankless is of such high efficiency it produces lower exhaust temperatures, allowing for the use of 3″ PVC venting. This further reduces costs as PVC offers a significant cost savings over other venting materials. A Navien NR180 employs dual microprocessors to offer better control and safer operation with continuous cross monitoring. APS – air pressure sensor to maximize efficiency by controlling air for optimal combustion. GPS – gas pressure sensor allows exact amounts of gas in combustion chamber to maintain efficiency and safety. Leak Detector – protects water heater from damage as well as personal property.